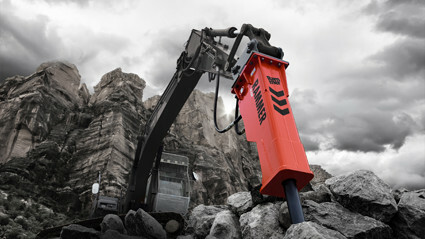 Rammer has announced the introduction of its new Performance Line of hydraulic hammers. 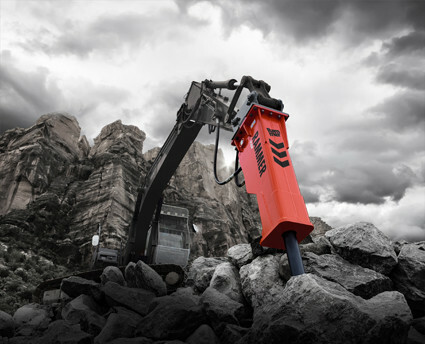 Coinciding with the start of the company’s 40th birthday celebrations, the new line is designed to allow first-time customers and markets to enjoy the Rammer experience but at optimized investment. The first models in the new Rammer Performance line, launched year ago were R18P, R25P, R35P, and R45P. The R18P is a 1,240 kg hammer that is suitable for carriers in the 15t-23t operating weight range. The larger R25P is suitable for carriers from 20t-29t, and weighs in at 3,637 lb (1,650kg). Designed for carriers in the 27t-40t weight range, the R35P is a 5,115 lb (2,320kg) hammer; while the 6,500 lb (2,950kg) R45P is aimed at carriers from 32t-53t. During the year 2018 Rammer introduced following 8 Rammer Performance Line hammers (R01P, R02P, R03P, R04P, R05P, R07P, R10P, R12P) to complete the offering. Each of the new Performance Line hammers meets Rammer’s exacting design and manufacturing standards and benefits from low operating noise levels which also makes them suitable for most applications including inner city and urban applications. Rammer reports that these new models are designed for a wide range of applications and are an addition to the company’s comprehensive and world-leading range. They do not replace existing models in the Rammer product line. While these new models will be offered at a lower cost, they will share all the proven characteristics for which the Rammer brand is renowned. According to Rammer General Manager Rafa López, the driving force behind the design of the new Performance Line hammers is a desire to satisfy specific customer demands.